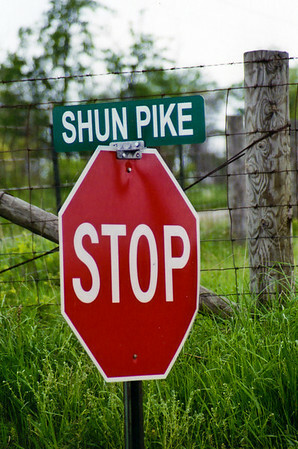 Shun.piking (shŭn´•pīk´•ĭng) v.: taking a side road instead of a turnpike or expressway to avoid tolls or to travel at a leisurely pace. Origin: 1850–55, Americanism; SHUN + (turn)pike. According to Merriam-Webster, the word "shunpike" has been describing side roads since the mid-1800's, almost half a century before the first Model T rolled out of the factory. Today there are leaf peepers (those who take pleasure in viewing fall foliage) and pie riders (those in search of the perfect slice of pie), but we are shunpikers (those who prefer to meander on the backroads). 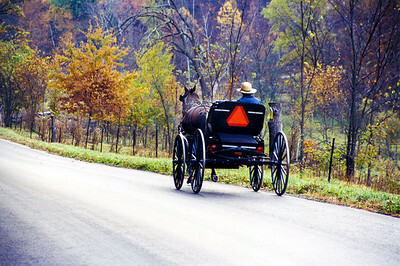 In every season of the year and for thousands of miles each year, we take to the backroads. Sometimes there is a final destination, with shunpiking along the way, and sometimes shunpiking IS the destination. It’s always an adventure to shunpike on roads with names like “Stone Church Road” or “Old Mill Road.” Sometimes we actually do find the stone church or the old mill. Other times, our disappointment turns into pleasure when we find something even better. 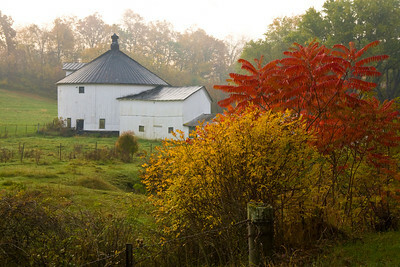 How could you not be tempted to see what’s down Smiling Goat Road or Dog Hollow Road (on which this fall barn scene was taken)? 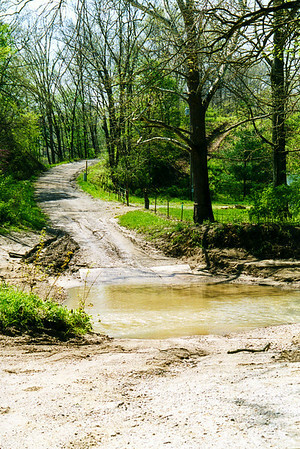 Wisconsin has a Rustic Roads program that was established in 1973 to preserve what remains of Wisconsin’s scenic, lightly traveled country roads. So we started exploring them. The description for one of these roads said “This narrow, winding gravel road frequently crosses a trout stream in the midst of dense woodlands.” Well, the road was certainly narrow and the woodlands were certainly dense. But the winding gravel road didn’t really cross the trout stream – it went through it – THREE times! Now that you understand the term “Shunpiking,” an explanation of “Shunpiking to Heaven” is in order. If you’re like us, once you begin shunpiking on the backroads for the sheer joy of discovering where they lead, you’ll want to do it every chance you get. That’s what we want for ourselves – to go shunpiking until we leave this Earth plane. And when we’re out on a quiet country road photographing an old abandoned farm or a “haunted” house and realize that no cars have passed us for over an hour, well, that’s just heaven! 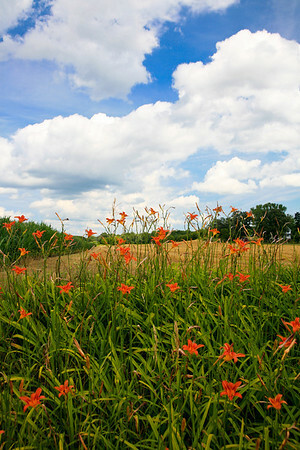 The backroads are always calling and days with blue skies and puffy white clouds make it hard to stay at work. In 1913, British poet Richard Le Gallienne published the following poem, which might help you understand why we hit the backroads as often as we can.